I wandered over to the AP test bed today. I’ve been avoiding it because of all the rain we’ve had. The ground around the growbeds gets pretty soft and boggy when wet. My expectations for the beds are low. They’ve been cycling for less than a month, so I’m sure the bacteria aren’t what they need to be. Also, the fish in the tank are very small–9 koi that are perhaps 4 inches long if you measure generously. The plants are showing the effects of an immature aquaponics system. The bell pepper plants don’t have a deep green color and the tomatoes have a lot of yellow. The cabbages are growing, but very slowly. I added a few red wriggler worms to each growbed a few days ago. I read here that they can help break down nutrients for plant consumption. All of the above is why I was surprised to see actual tomatoes hanging from one of the plants. I’m not a big fan of tomatoes in AP. My opinion is that tomatoes should get generous watering once a week. More frequent watering and I see a lot of vines and not as much fruit. That’s not the case here. I wonder if it’s the kind of tomato (cherry), lack of nutrients or if I’m wrong about the watering thing. 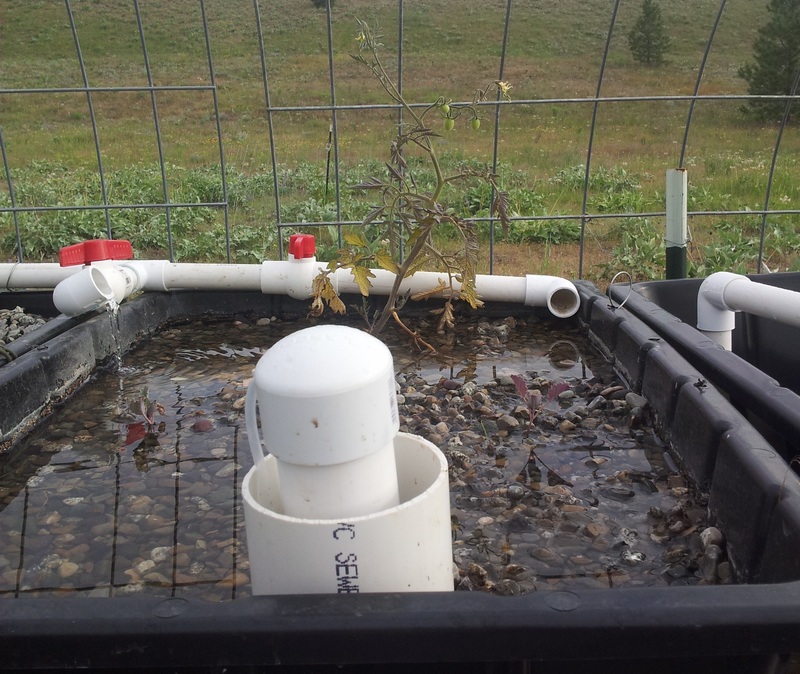 This entry was posted in Aquaponics and tagged aquaponics, frequency, iron, red wriggler, tomatoes, watering, worms by admin. Bookmark the permalink.